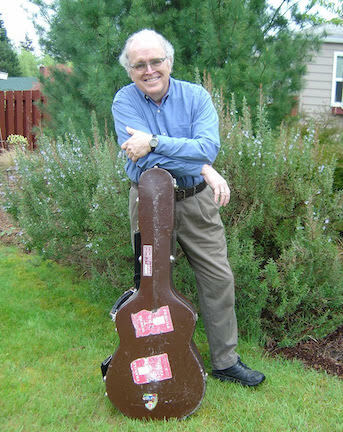 John Miller has been performing, recording and teaching guitar for close to fifty years. In addition to 7 solo recordings, he has recorded with the bands Country Cooking, Freshet, and Zumbido, in duos with Rebecca Kilgore, John Reischman, Ruthie Dornfeld, Ginny Snowe, and in a trio with Orville Johnson and Grant Dermody. John has taught at music camps since his first year at PSGW in 1976, and has 17 instructional guitar videos released by Stefan Grossman's Guitar Workshop.